Do you need to move from Hawaii because of a new job? Or maybe you are being transferred to a new office? No matter your reason, our tips in this article will make the process less stressful! In our latest post, we will provide information to help you sell your house in Hawaii due to a job transfer…. Career changes happen. Job transfers happen. Employment comes and goes over most of our lives. Whether you requested it or not, there might be a point in your career when you need to move for work. The idea of picking up and moving can feel stressful and overwhelming, especially if you have a family coming with you. When it’s time to move, you have some options, you can either list your house, sell it on your own, or hold on to it and try your hand at being a landlord (or hire a property manager). Listing your Hawaii house can sometimes be expensive. Before your property even hits the market, you will likely need to make some repairs to keep potential buyers interested, professionally clean the house and tend to the landscaping. Your listing might require additional costs depending on the scope of services your agent provides. For example, you might need to hire a photographer and professional stager on your own in order to have a competitive listing. You will also need to factor in the agent’s commission and any other fees they will charge at the time of closing. The time you spend waiting for the closing to occur is costing you as well. Ask any real estate flipper, and they will tell you that the longer you own a house, the more it is costing you. While your house sits on the MLS, you will continue to be responsible for the taxes, insurance, utilities and maintenance costs…. and, most importantly, the mortgage(s)! If you need to sell within a specific timeframe, you might want to steer clear of getting stuck in a long-term listing agreement. Listing works great for some properties and situations – no one is denying the role of a good agent for the right property. 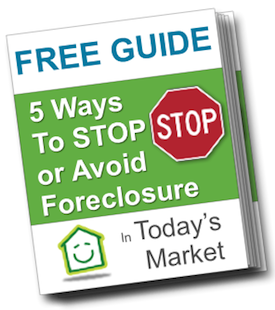 However, for others (like trying to avoid foreclosure or paying two mortgages at once), it is often a waste of time and money. After you factor in the costs and the time spent, the amount you receive could actually less than had you sod it directly. Run the numbers for your situation to discover which selling method is right for you! When you sell directly to Oahu Home Buyers, there aren’t any costs to worry about. Now, remember, not all home buyers are the same. You might encounter fees or closing costs when selling to someone else. At Oahu Home Buyers, we make you an offer to sell your house free and clear, without any fees, closing costs included. With a direct sale to Oahu Home Buyers, you will be able to sell your house very quickly, sometimes in under a week or two, as opposed to the months you could be waiting with a traditional sale. By selling your house right away, you will be able to recoup the repair costs you would have otherwise had to fork out, all while quickly and easily moving on with your life. A direct sale to Oahu Home Buyers is quick, painless and stress-free. You will not have to worry about how much you are receiving or when the house will close. You will know both of those things up front, from the very beginning. The final sale price might appear lower than what you are seeing on the MLS, however, after you calculate what you are saving, the difference is often negligible. If you have one home in Hawaii and another somewhere else, carrying both mortgages can be extremely expensive….. and stressful. It can be difficult to obtain a second mortgage when you already have one on your Hawaii house. Coming up with the additional cash while you are waiting for the first home to sell can be very stressful on you and your family. If the house doesn’t sell, you can always opt to rent it out or even try your hand at a rent-to-own. Be forewarned, it can sometimes be a lot more work than it looks like on paper (ask anyone who reluctantly does it). Finding the right tenants, dealing with repairs, monthly maintenance and evictions can all be overwhelming, especially if you aren’t local to handle it all.